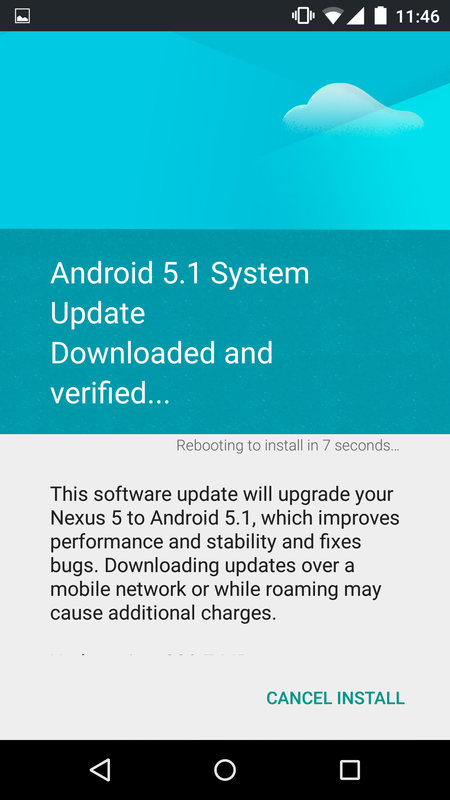 Not for my Nexus 5, because I already manually upgraded to 5.1 using the official binaries downloaded from Google servers. 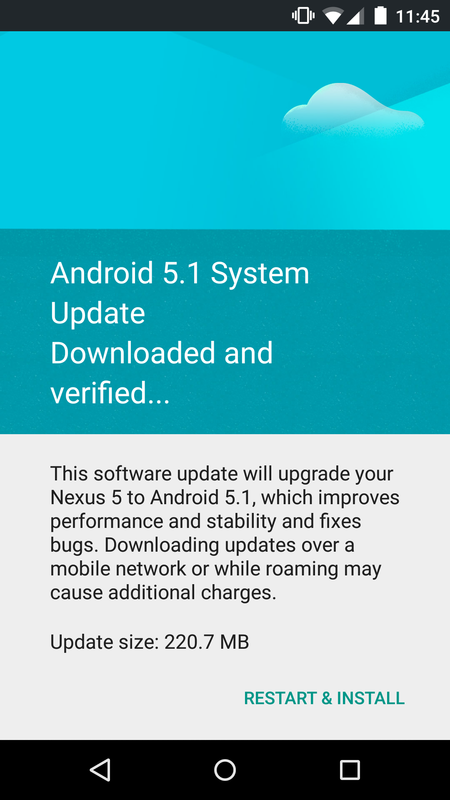 This update is for my wife’s Nexus 5. 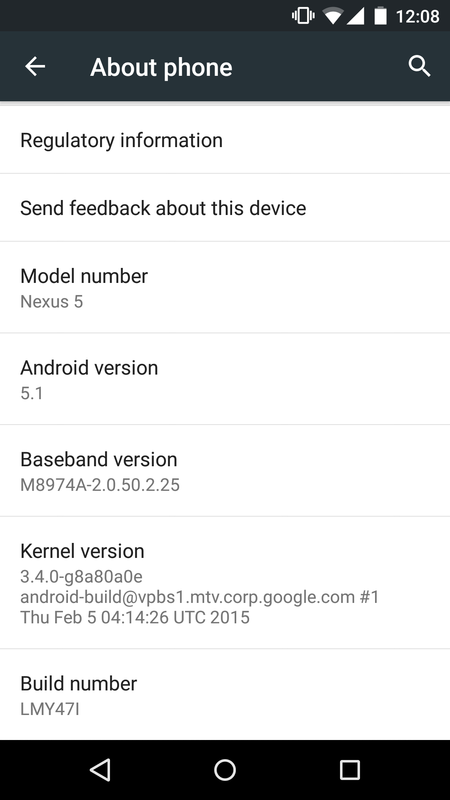 Yes, I wrote in this post that I might actually upgrade my wife’s phone to Android 5.1 manually, as I had grown in confidence in doing that. Unfortunately, I didn’t have time to spare, so it was postponed indefinitely. Finally yesterday, when I was about to plug the phone to micro USB cable coming off my PC to charge it, I checked the notification drawer and saw that there was an entry that I had never seen before. Even though I was plugging the phone to the power source, it already had almost 100% battery. Without second thoughts, I tapped on the entry and that made the following pane to show up on screen. And I tapped on the DOWNLOAD link on the bottom right hand corner, and the following screen appeared. Unfortunately, it didn’t want to start downloading for a while. I waited few minutes and the screen never changed. It didn’t seem as if it was attempting to download the update. After about 5 minutes, it got me fed up and I left the phone to do whatever it wanted. 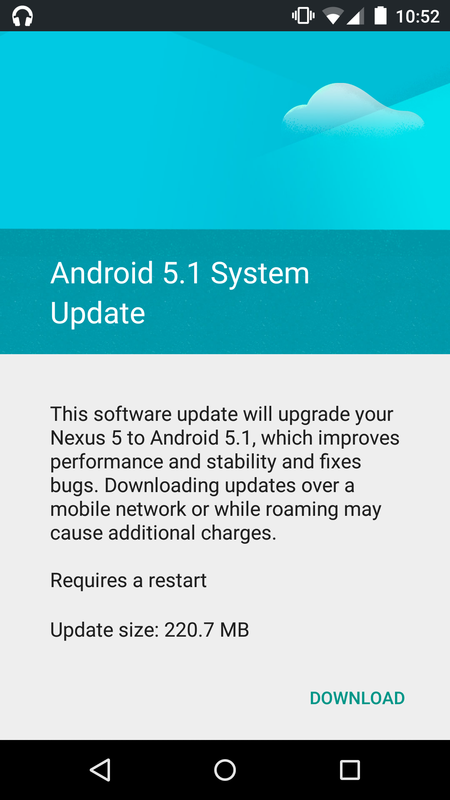 After an hour or so, I returned to the phone and so my relief, it had downloaded the update and was waiting for my input to proceed to the next step. 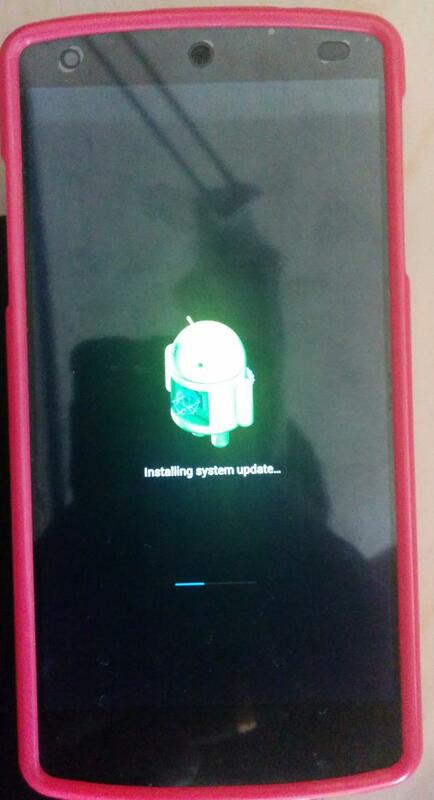 When I tapped on the RESTART AND INSTALL link, it started a count down of 10 seconds and rebooted the phone. 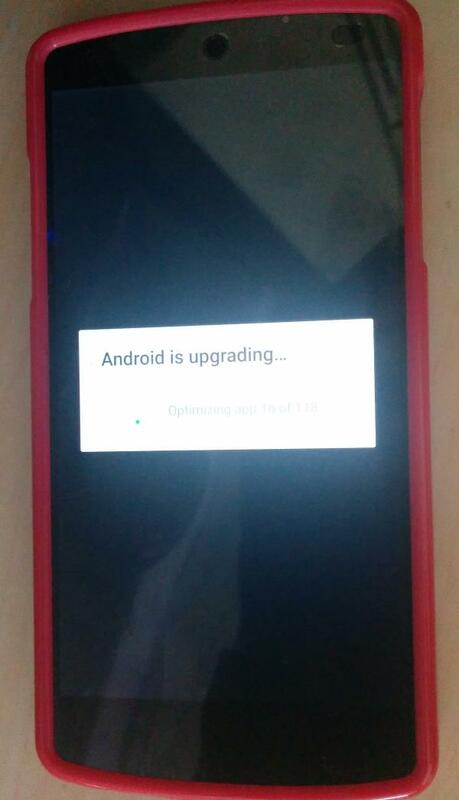 Then it started the actual process of upgrading. After the upgrading was done, it rebooted and started doing something called “Optimizing Apps”. I do not know what it does but I like the sound of it. And finally, here is the About pane of the phone. 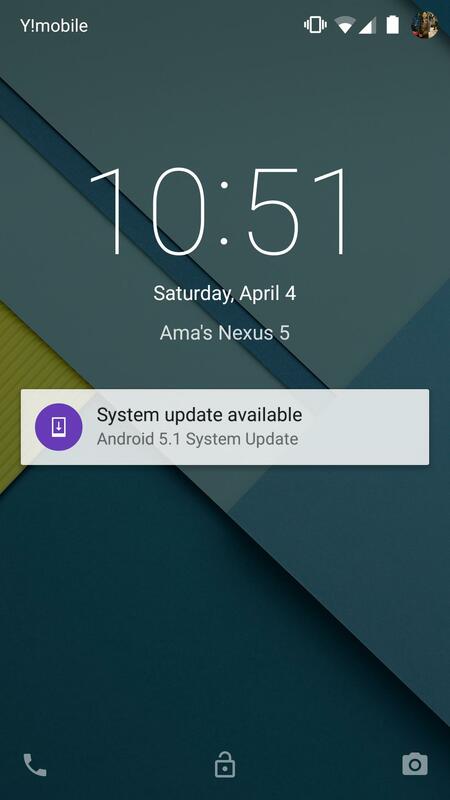 Yes, it indeed is Android 5.1. 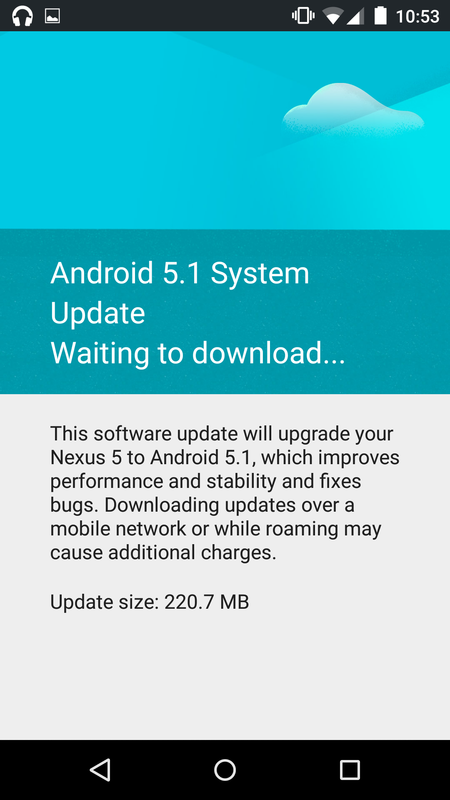 And the build number reflects the R3 release, which is a good thing as this is the latest available build for the Nexus 5 as of writing this post. And that is the one I have as well. Whether my wife would run into issues while using it, is an unknown to me. I shall find out tomorrow when I go to work. I just hope she doesn’t ring my phone while I am in a meeting. Every other Monday is the meeting day for us.